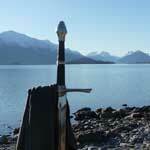 Essential Queenstown – Two great adventures in one. 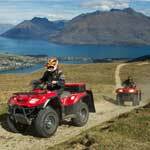 Experience Shotover Jet and climb on board a Nomad Safaris 4WD for a custom offroad tour into the New Zealand backcountry. Optional departs: 9 am & 2 pm (Jet Boat first, pickup from The Station Building, drop off at accommodation), please enquiry for availability. Bring: Water, a camera and a sense of adventure! Dress warmly all year round; in winter, a hat, gloves, sunglasses and scarf are recommended for the jet boat. 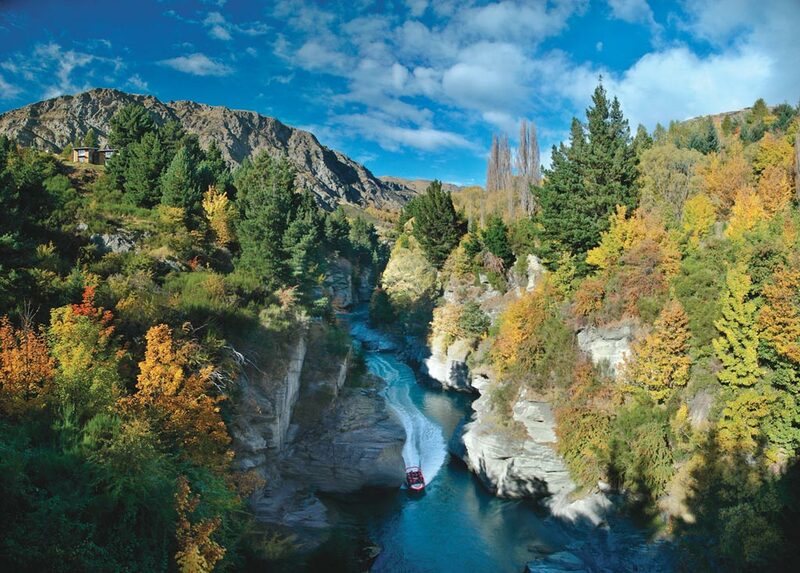 Includes: Shotover Jet boat ride, 2 hour Goldseeker 4WD tour, gold panning & refreshments. 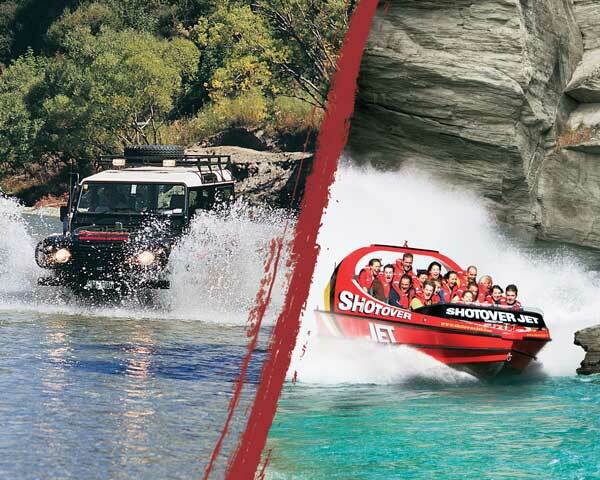 Leading Queenstown activity operators Shotover Jet and Nomad Safaris, have combined to offer visitors an exciting Jet Boat and 4×4 adventure. 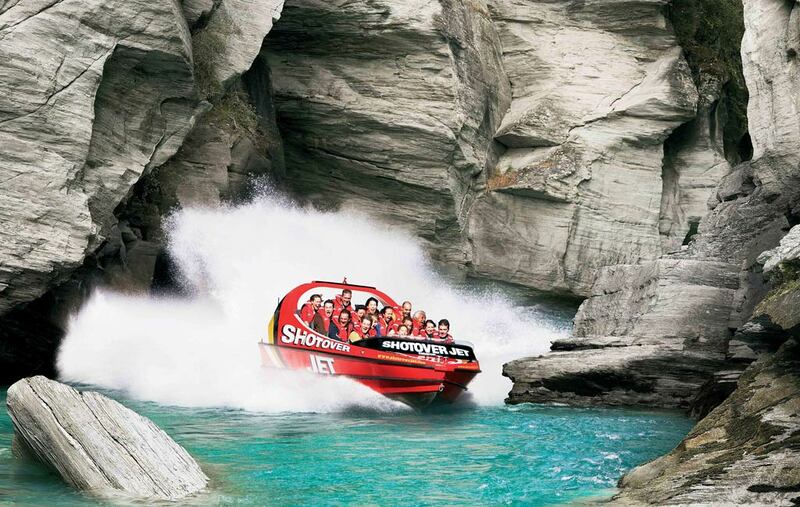 World famous as the ultimate jet boat experience, Shotover Jet has thrilled over 2.5 million people since 1970, and now it’s your turn! Take a unique breathtaking ride through dramatic and narrow canyons, and hold on tight for Queenstown’s only exhilarating full 360 ̊ spins. 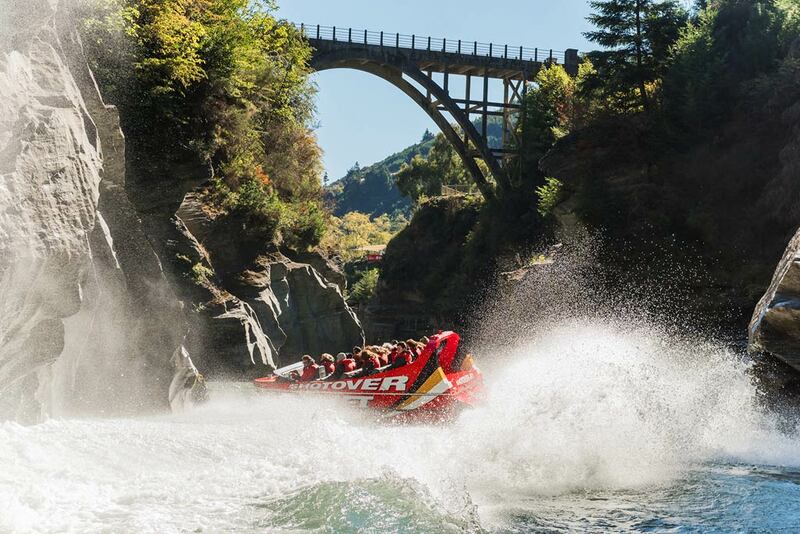 ‘Can you handle the canyons?’ with award winning Shotover Jet, The World’s Most Exciting Jet Boat Ride, and the only company permitted to operate in the spectacular River Canyons. 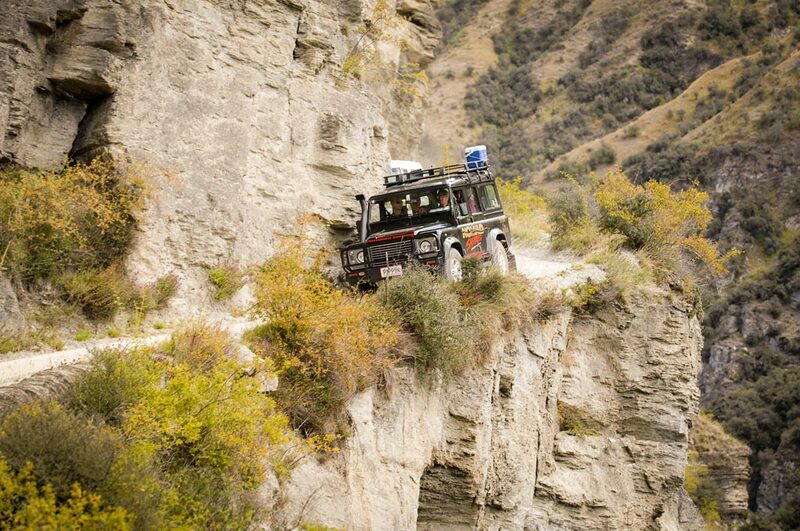 Experience a personalised adventure tour into the New Zealand backcountry with Nomad Safaris in the specialised 4×4 vehicles. 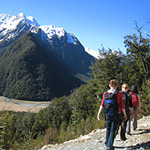 One of New Zealand’s most established and awarded tour operators with over 25 year’s experience. With Nomad Safaris, you will explore the abandoned gold mining area of the Arrow River and a couple of locations used in ‘Lord of The Rings”. Travel the rugged road and experience true off-roading as you explore the pioneer trails guided by the ‘professional adventurers’. Morning/Afternoon Tea and Gold Panning is included. Can I choose which portion of the trip I do first? We will try to accommodate your needs to the best of our abilities, however it is dependent on availability. Can my child come on this tour? Children are more than welcome on this tour, as long as they meet the minimum height requirement of 1 metre. Comfortable clothing suitable for outdoor adventure. 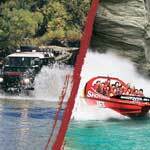 Shotover Jet provide life jackets but you may get splashed! We went on this great tour last week during our trip to Queenstown. We thoroughly enjoyed our tour around Queenstown, Skippers Canyon, and out to Arrowtown. We were picked up after our Shotover jet boat ride and following the tour kindly returned to our hotel in central Queenstown. 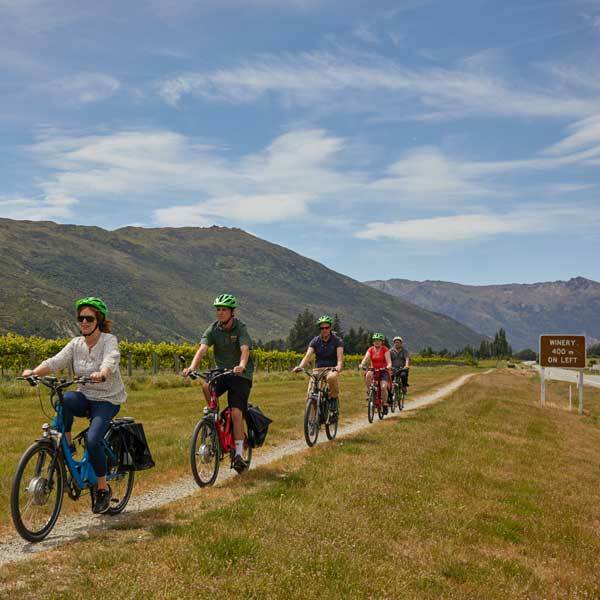 My friends and I had out own private tour and our tour guide was very friendly and even though he had only recently began working for the company, he was enthusiastic and enjoyed tours and informing guests about his love for Queenstown. 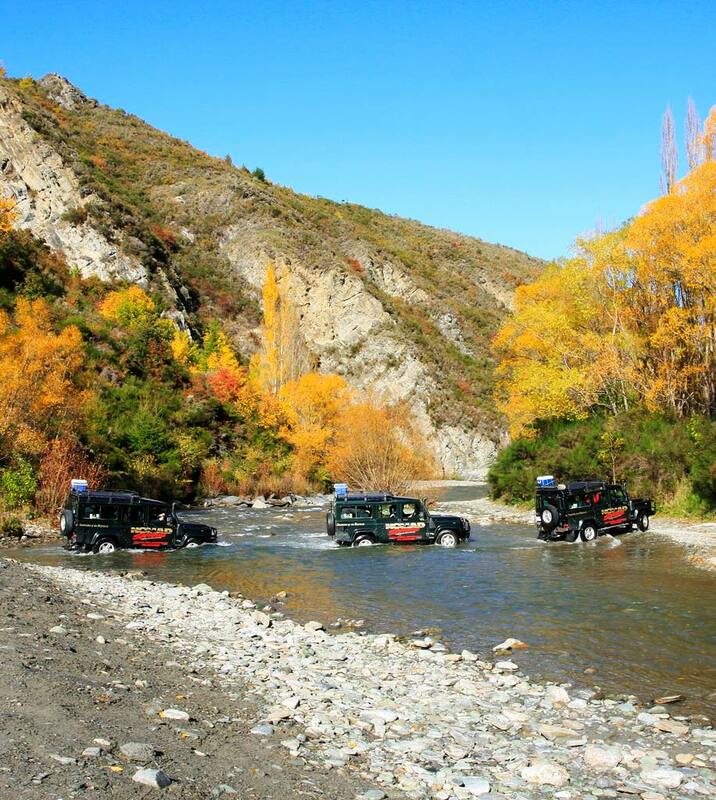 We loved the river crossings in the 4WD – such great fun! We definatly will take another tour with you next time we are in town. My boyfriend and I did the ‘Essential Queenstown Tour’ with the Nomad Safari and Jet ride. Was so awesome. The jet is exhilarating, goes so incredibly close to the canyon wall and I loved every minute. I would suggest though, if you’re a light female to sit in between people. I sat in the back row of the boat with my partner on one side and no one on the other, was very difficult to hold my weight in the boat on the 360’s that went in my direction with his weight beside me. 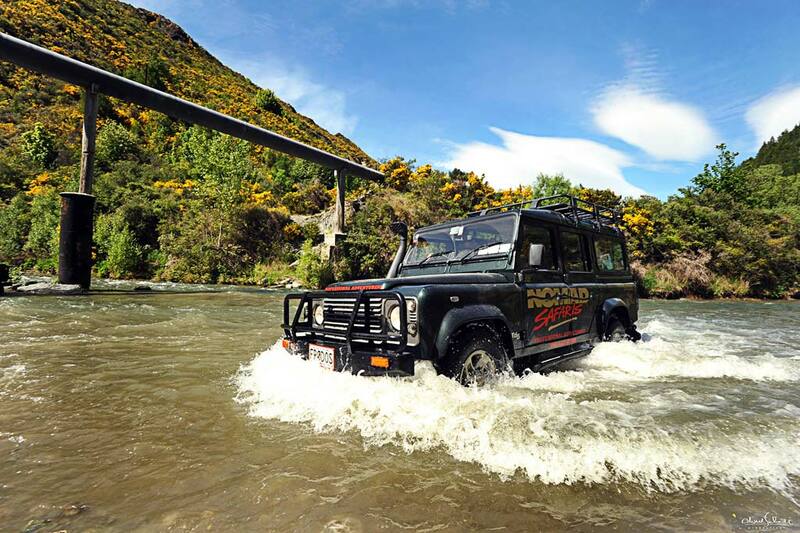 The Nomad safari was great too, Farvier picked us up from our hotel (was even 5 mins early) and showed us beautiful Arrowtown and we actually drove in the river (feet wet and all). Gold panning doesn’t do much for me but was a nice inclusion, only wish it had of gone longer.